Yamaha Motor Releases New NOZZA GRANDE in Vietnam, 125cc Scooter with HYBRID System - News Releases | Yamaha Motor Co., Ltd.
IWATA, December 7, 2018—Yamaha Motor Co., Ltd. (Tokyo:7272) announced today that the 2019 model NOZZA GRANDE 125cc premium scooter will be fitted with new features like the HYBRID System*1 and progressively released in Vietnam from December. The new model NOZZA GRANDE- while inheriting the features and images of the current model - is a model that aims at greater running and comfort, refreshed appearance, and range of advanced equipment to further enhance its attractiveness and market appeal. Main features include, 1) Smart Motor Generator that includes a HYBRID System to assist driving force on take-off, 2) a new BLUE CORE*2 engine that produces smoother acceleration with low-vibration, achieving a more comfortable ride, 3) a body design and chrome parts that render a high-class feel with the model’s sophisticated flow, and 4) a color TFT liquid-crystal meter that provides an advanced futuristic perception. 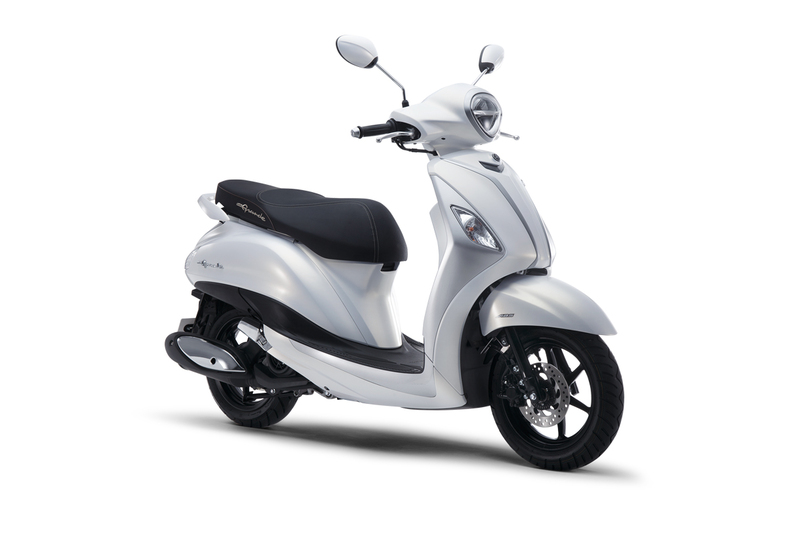 In addition, the top-model NOZZA GRANDE Premium is equipped with ABS and a smart key system. In the Vietnamese market of 3.3 million units annually, the scooter ratio is on a sharp turn upward as the market has matured in recent years and is now expected to reach nearly 50%. Among these, in 2014, the NOZZA GRANDE- as the first to have the BLUE CORE engine - was introduced to the market, where it has gained high-popularity appealing mainly to young women as a premium class scooter due to its excellent running performance and functionality, along with its stylish European look. Manufacturing and sales will be carried out by our Vietnamese group company, Yamaha Motor Vietnam Co., Ltd.
*1 HYBRID System: The starter generator functions as a motor in response to throttle operation for a maximum of three seconds on take-off from a stationary position, helping to assist the torque of the engine. The Company first adopted this feature in the GRAND FILANO HYBRID for Thailand in July 2018.